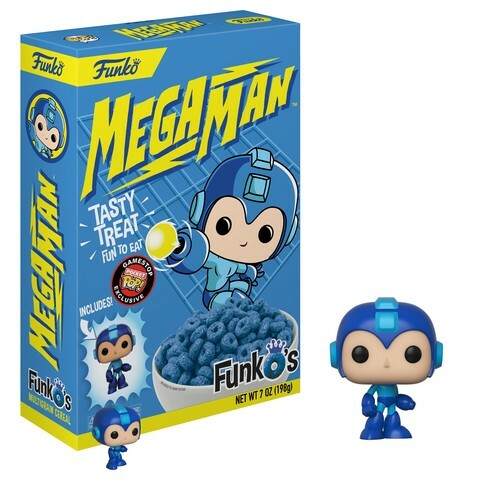 Funko, better known for their works in collectable figurines, is releasing a Mega Man themed breakfast cereal. Coloured blue to match the Mega Man theme, the Mega Man FunkO (as it is called), will each come with a collectable figure. The Mega Man FunkO cereal will be available at GameStop this July. Pick up your first box of FunkO’s this summer, pour yourself a bowl and watch cartoons!